When it comes to finding the right way to eat and drink on the go, one should look for inspiration to the heart of the fast-paced universe, New York. Built was founded there in 2003 by three friends, John Roscoe Swartz, Aaron Lown and Carter Weiss, who share a winning interest in food and drink preparation along with outstanding design. They create beautiful symbols of a fast lifestyle. Big Apple Buddies Backpacks have everything a child needs to head off to school. 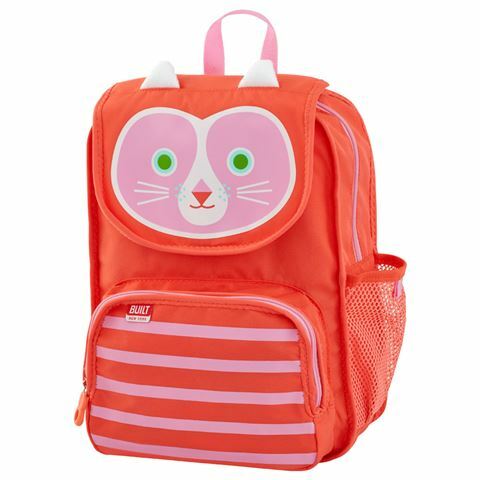 This fully equipped kid-sized backpack is designed with a large main storage compartment, zippered front pocket, side pocket for bottles, padded adjustable shoulder straps, interior name tag, and a sturdy grab handle on top. Just grab it and go. Crafted from durable, water-resistant polyester. Large main storage compartment, zippered front pocket and side pocket for bottles. Padded adjustable shoulder straps with interior name tag, and a sturdy grab handle on top. Dimensions: 29cm (l) x 29cm (h) x 11.5cm (w).